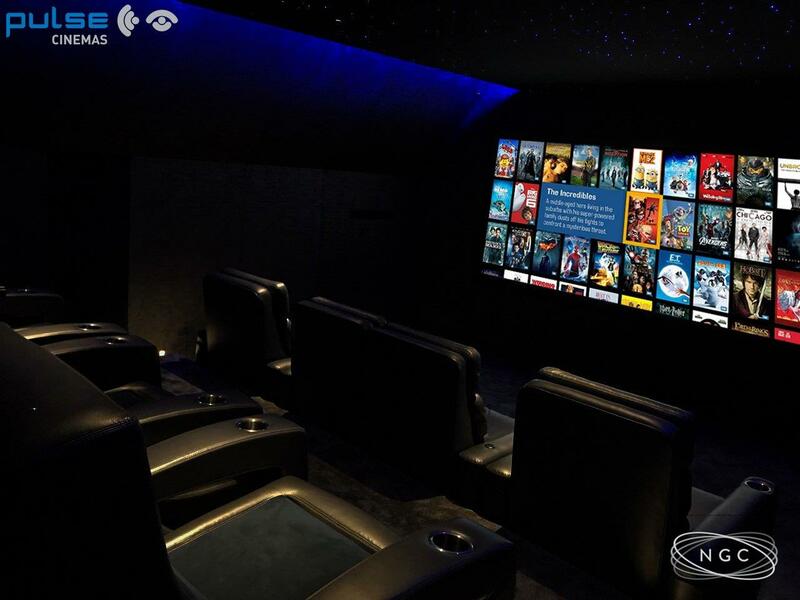 Working with partners including Pulse Cinemas, this recent installation of a brand-new showroom for NGC Systems is designed to show visitors just how awesome a home cinema can be. 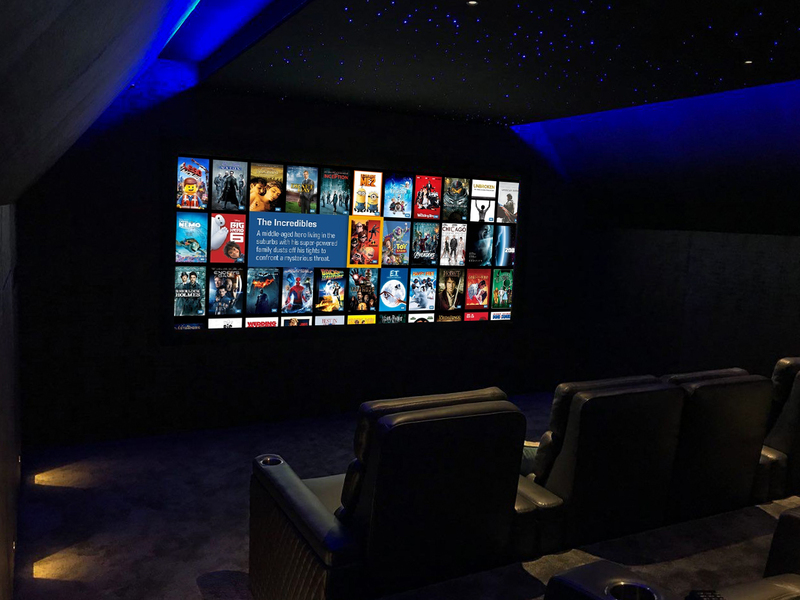 Naim Cohen, director at NGC Systems explains that the idea was to create a cinema for the showroom that delivered all the aspects of a high-end home so a customer can have a real life experience and discover just how good a cinema in their own home can be. 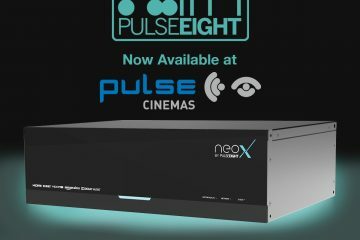 A few options were considered before the final design was established after a couple of visits to Pulse Cinemas own demonstration facilities. 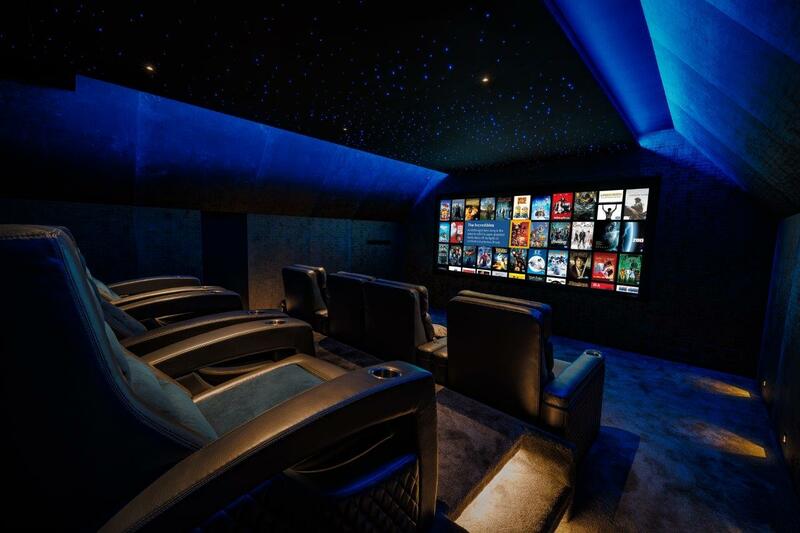 Naim decided on a purpose-built home cinema so clients can have an immersive introduction into the home theatre market and see the high-quality of the works carried out by NGC. Making sure the experience is comfortable and has a big helping of luxury, the cinema has a full complement of Fortress Seating. The cinema has two different types of seating included and for the front love seat, the team really pushed the boat out by adding massage, heating and tilting headrest to offer the ultimate in comfort. There are multiple colour options available from Fortress, Naim was tempted with the striking orange designs which adorn one of Pulse’s demonstration cinemas, but in the end went for a more neutral, but equally attractive grey colour scheme. 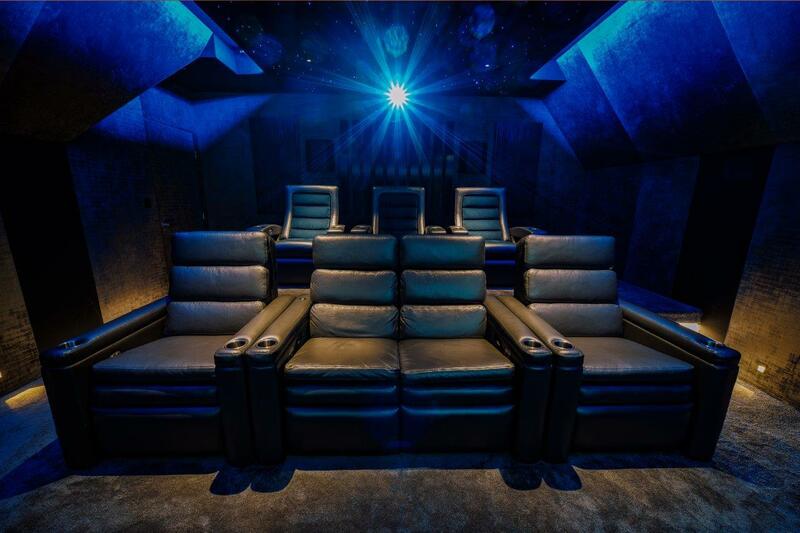 For the back-bone of the electronics NGC went with StormAudio, so visitors can experience the benefits of Dolby Atmos surround sound and other immersive audio experiences such as DTS:X and Auro 3D. 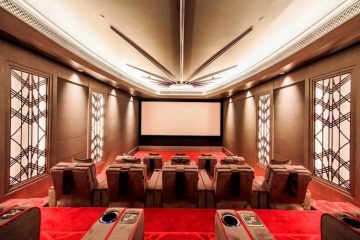 A range of Triad speakers were chosen to deliver the audio as the cinema is part of a Control4 certified showroom and the speakers are part of the Control4 group. Another really cool feature offered in the cinema is the Vicoustic audio treatment products. 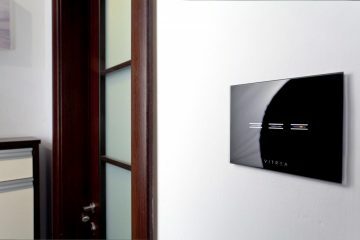 This range of panels deliver a way to control the sound in the room and get the very best from each project. At the rear of the cinema, the panels are on show so customers can see how the technology works, for the rest of the cinema they are covered by fabric for the ultimate integrated and attractive end result. For an added touch of drama, the team included a full star-scape ceiling in the cinema. For the cinema screen, NGC went with a masking Screen Research model. The screen is able to move smoothly between different viewing formats (2.35:1 to 16:9) so whatever the type of content to be enjoyed, TV or a movie, the screen can adjust to exactly the right size. NGC says seeing this in action is really powerful and shows the advantages much better that could ever be explained in words. Other equipment powering the cinema includes a Kaleidescape Strato movie and content server, a Sony 4K projector and Lutron automated lighting. During the build, the team were able to really hone their skills in delivering sound-proofing and other cinema contraction techniques, creating a ‘room within a room’ which protects the rest of the house from experiencing what is going on in the cinema. The knowledge gained during this experience will now hugely benefit NGC’s customers. Other challenges included the sloped ceilings and speaker placement due to steel beams in the way. 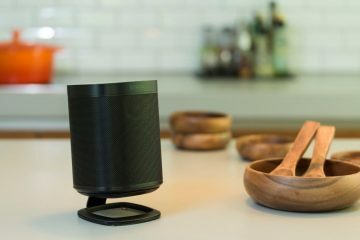 Lots of design changes went back and forth, but the right solutions were all found in the end. Now that the cinema is up and running, it’s a huge boost to the impact the company can create for those who visit. 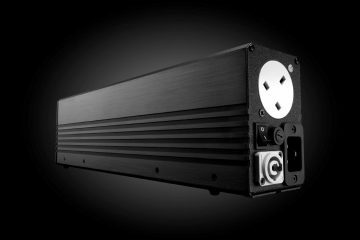 Naim reveals, “The reactions when I open the door and people see a full-blown cinema are great, people are totally blown away by it. Especially after a demo the common comments are its better than a ‘real’ cinema! Ultimately, the cinema and demo space is a huge lift for the business providing credibility and trust right from the off, allowing customers to see what can be achieved and how it can be also be achieved in their own home, in fact a replica of the cinema has already been sold after a demo. An undertaking such as this is no easy feet of course. 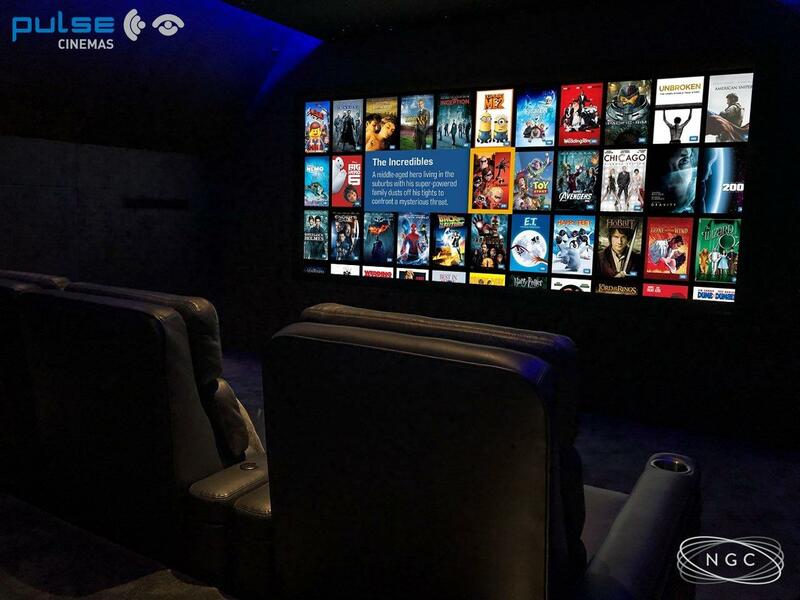 However, as the profile of home cinema increases and the boost to business that these places can deliver is considered, it’s definitely worth exploring how it might be achieved.